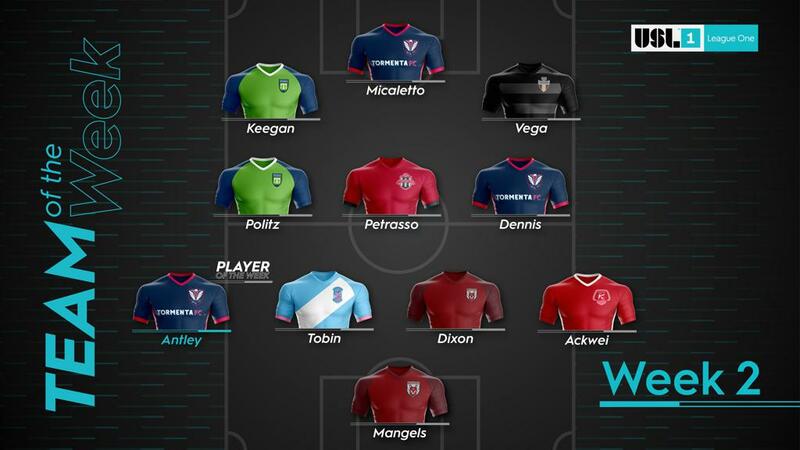 CHATTANOOGA, Tenn. (April 9, 2019) - Chattanooga Red Wolves SC Defender Richard Dixon and Goalkeeper Alex Mangels have been named to USL League One Team of the Week for week 2 of the league's inaugural season. Both played vital roles in the historic 1-0 victory over Forward Madison FC (0-1-0) for the team's inaugural home opener on Saturday night. As right back, Dixon led the way for the Red Wolves defensively against a quality Madison attack. He ended the night with four tackles, six clearances and two interceptions while joining the attack and helping create chances. 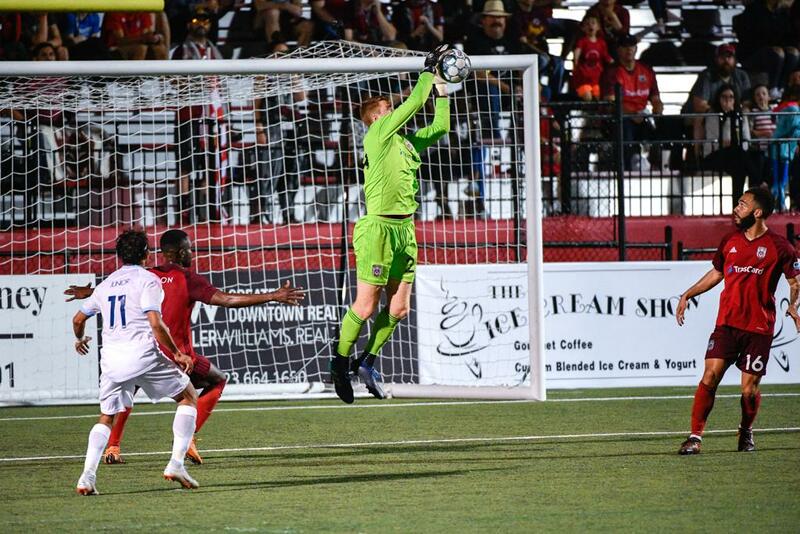 Mangels earned his first clean sheet, posting four saves and two crosses claimed. His leadership in the defensive third contributed greatly to the overall composure of the Red Wolves' backline. Both players have USL Championship experience. 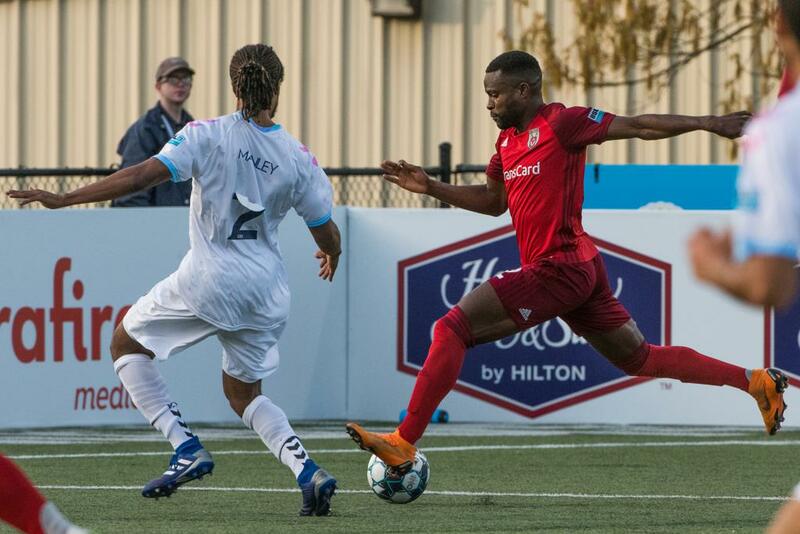 Dixon signed with Red Wolves after spending two seasons with OKC Energy FC. While there, he appeared in 51 competitions, tallying more than 3,700 minutes played. Prior to his time with Energy FC, Dixon rostered with St. Louis FC for two seasons. Mangels joined the Red Wolves after a season with Portland Timbers 2. He finished with six clean sheets and a trip to the playoffs. He began his professional playing career with Tulsa Roughnecks in 2016. There, Mangels made 17 appearances and led the league in save percentage (.782). The Red Wolves return to the pitch Saturday, April 13 on the road in Greenville, South Carolina to face Greenville Triumph SC. On Saturday, April 20, the team will be back home to face South Georgia Tormenta FC at 7:00 p.m. ET in David Stanton Field. For tickets, visit chattredwolves.com/tickets.